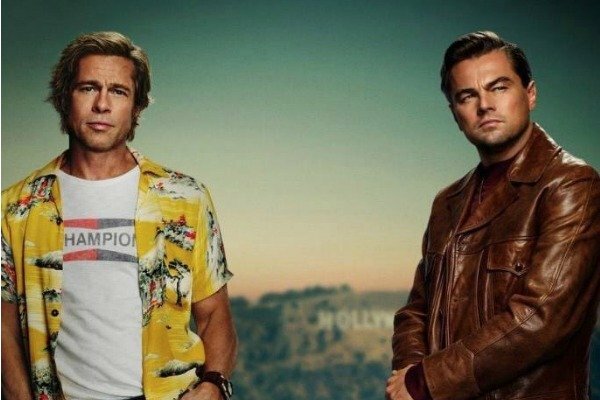 Once Upon a Time in Hollywood poster: Brad Pitt's face looks... weird. Brad Pitt and Leonardo DiCaprio's new movie poster has been released and something is... wrong. When Leonardo DiCaprio shared his latest movie poster on social media, he was probably hoping to get people talking. The Oscar winner stars in upcoming Quentin Tarantino film Once Upon a Time in Hollywood with Brad Pitt and Margot Robbie, and dropped the highly anticipated movie poster this week. In it, Leo and Brad are dressed very retro and stand in front of the Hollywood sign. Yep. 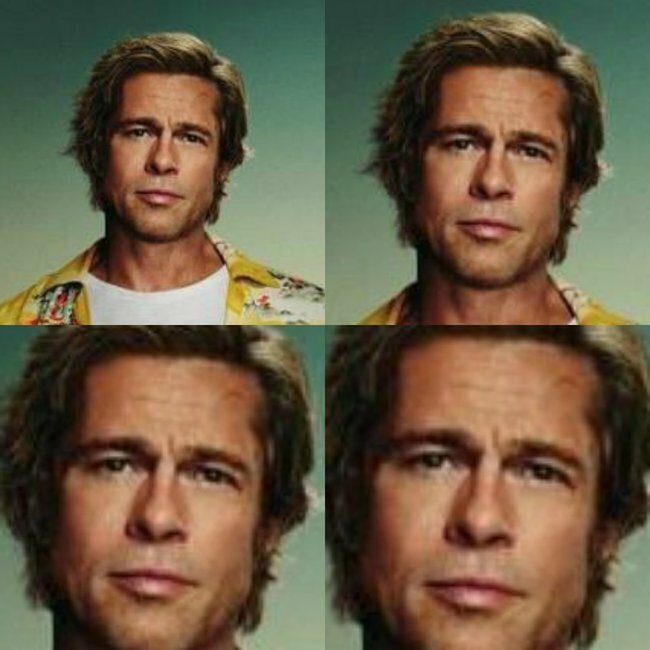 It’s been called out for some pretty terrible photo shop and um, Brad Pitt’s face doesn’t quite fit his head or body. Was Brad sick that day? Or was he self-conscious about a blemish and request his face from another photo be used? Have he and Leonardo DiCaprio even met? Why is he dressed like Leo in Romeo and Juliet... Wait, is this just Leo&apos;s body twice with Brad&apos;s face plonked on top? It&apos;s very confusing but bless, because the memes are phenomenal. We&apos;re sure the movie will be better than its poster, but we can find out for sure when it is released in Australia on August 15.